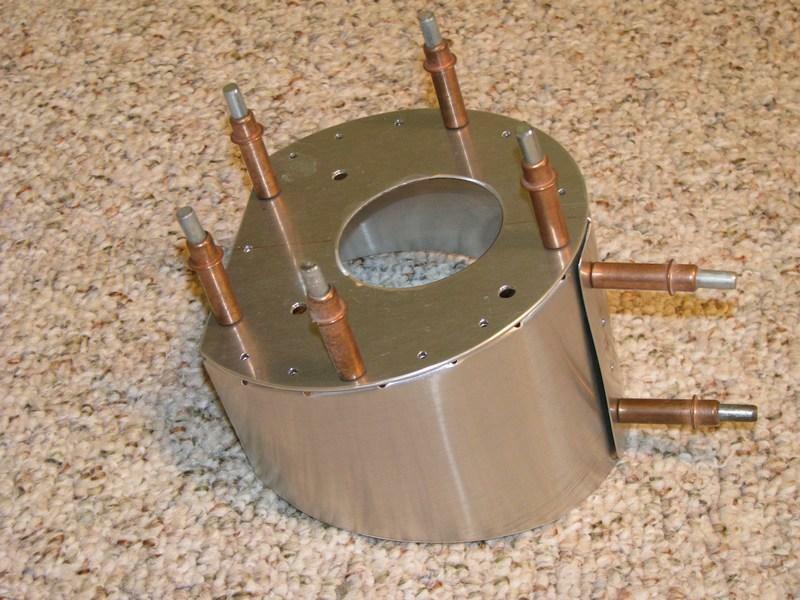 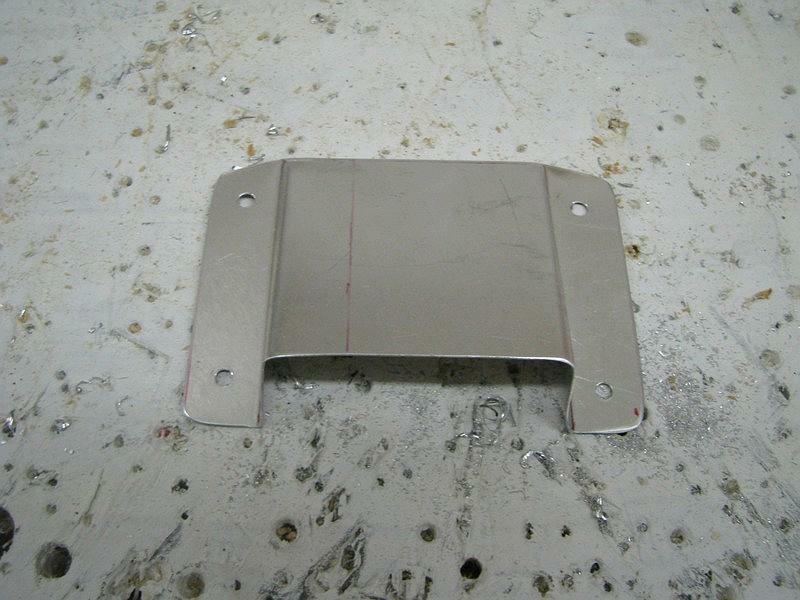 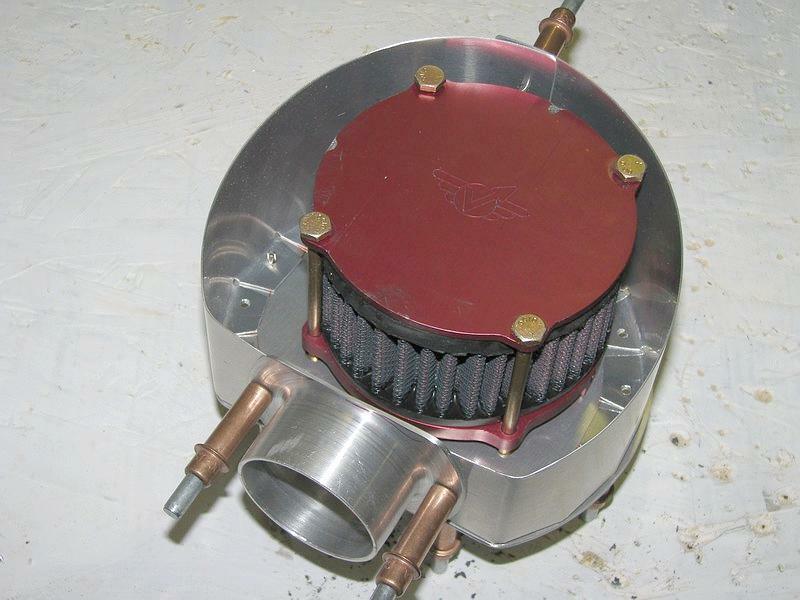 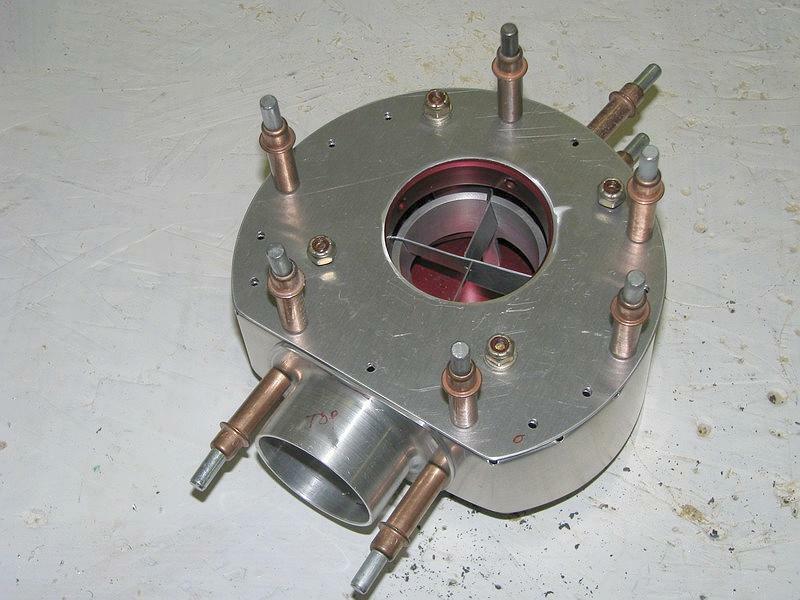 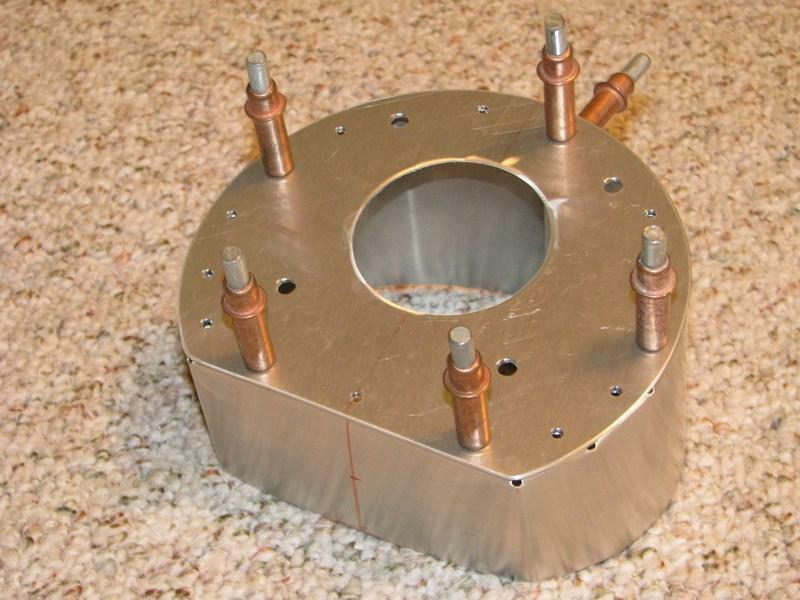 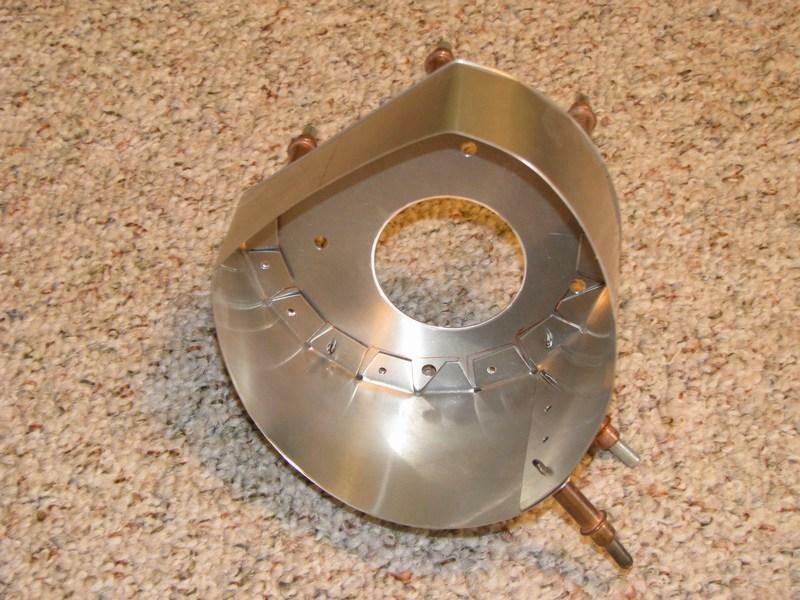 After working through sizing the oil cooler inlet, the benefits of feeding the carb outside air rather than oil cooler air became more apparent. 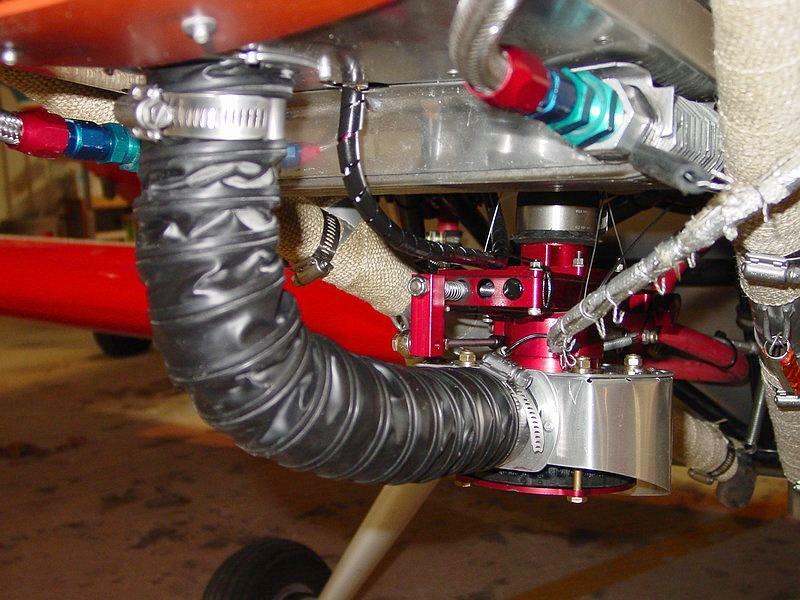 In short, if we size the oil cooler inlet to properly heat the oil to 160-200 degrees, engine performance suffers because the carb is bathed in very warm air coming off the oil cooler. Warmer air means less density going into the engine, and a corresponding reduction in power output. My test flight data indicated that on average, air going into the carb was as hot as 130 degrees, or roughly an average increase in density altitude of 3000 feet (it varies depending on the specific conditions, but this is a good average). 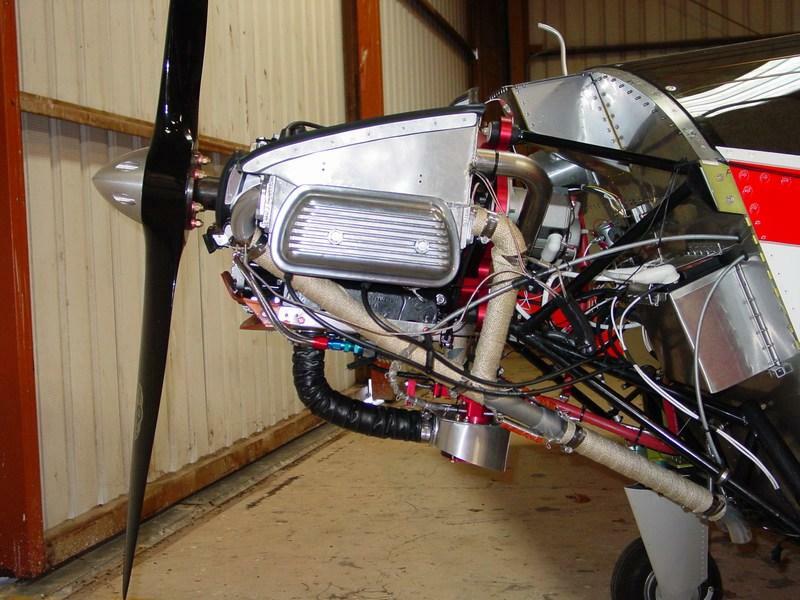 Using the rule of thumb regarding engine power reduction at altitude (3% per thousand feet), that equates to an average power loss of 10%. 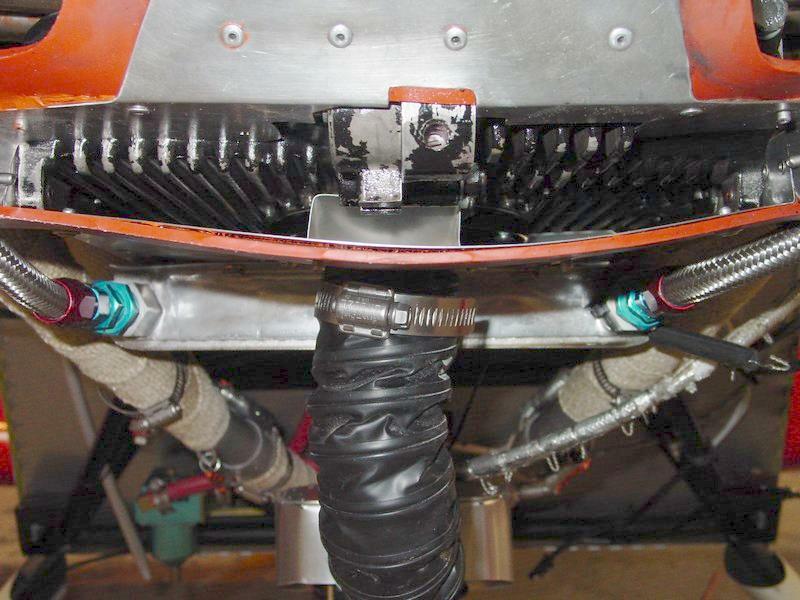 Each person will have to decide if loosing 10% of your engine power is acceptable, but for me, I wanted those horses back. 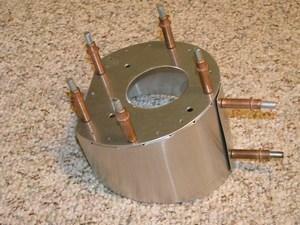 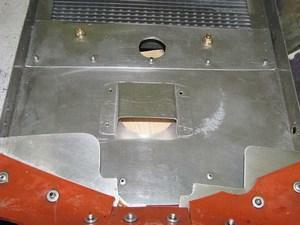 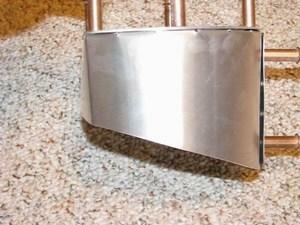 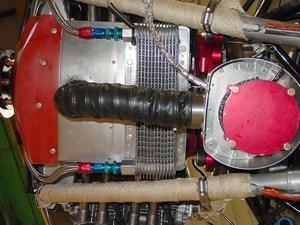 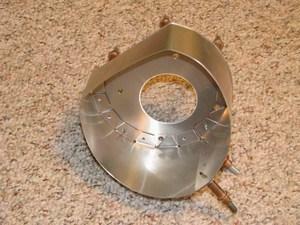 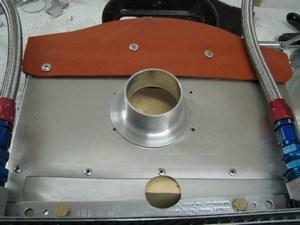 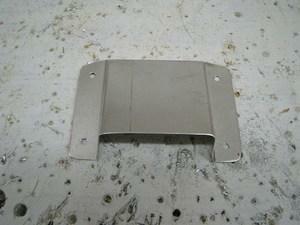 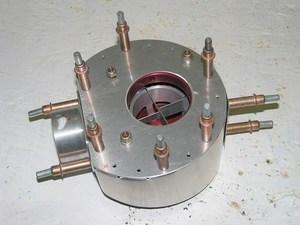 My approach to feeding the engine outside air was to use the oil cooler inlet already cut into the cowl. 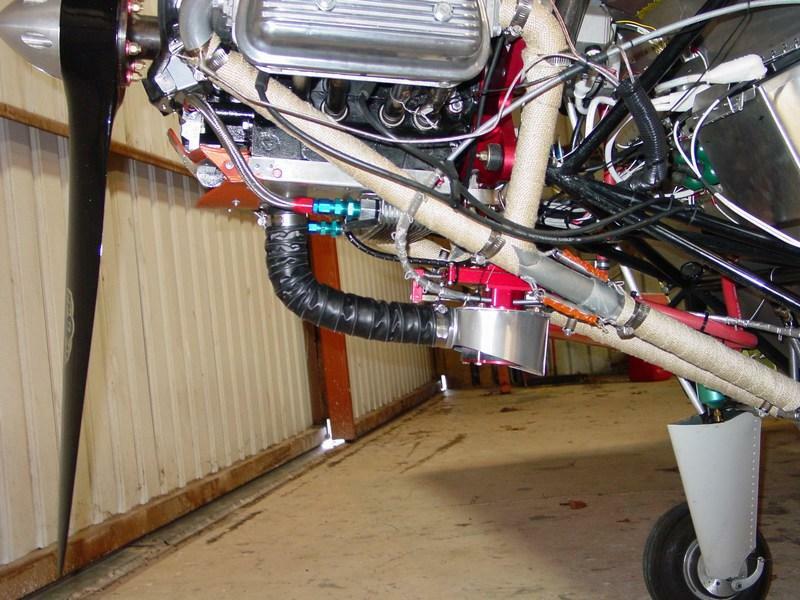 I know though flight testing that the inlet is 2-3 times bigger than needed, so I simply needed to plumb some of the air entering the oil cooler baffle over to the carb. 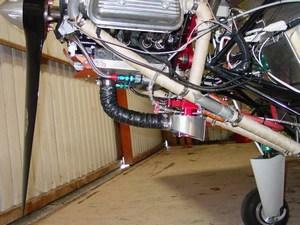 One important constraint is the need to keep the pressure entering the AeroCarb constant. Changes in pressure entering the carb will affect mixture. To avoid this headache, I'll make sure the enclosure around the carb doesn't allow any significant pressure build up. 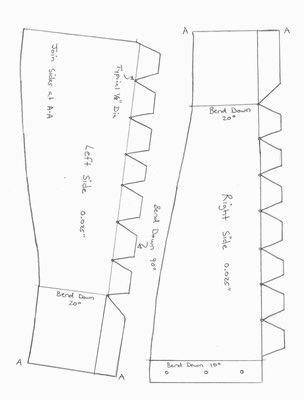 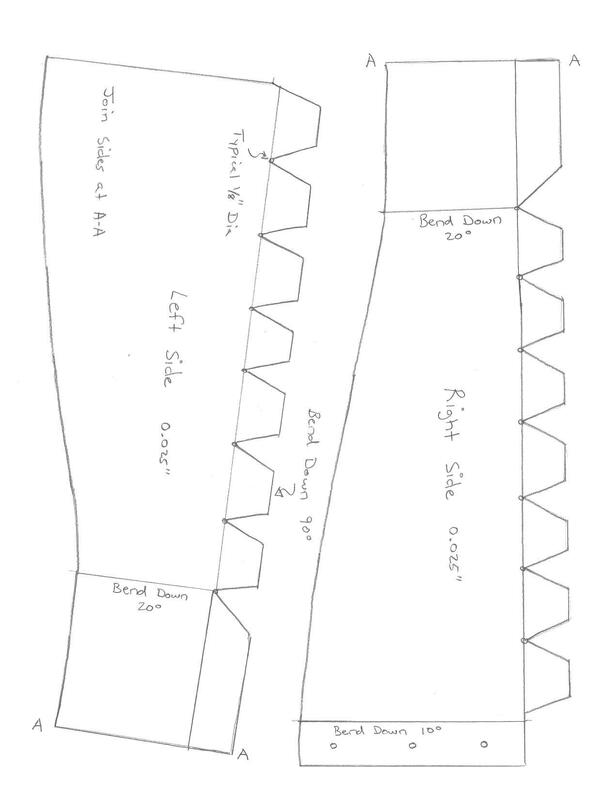 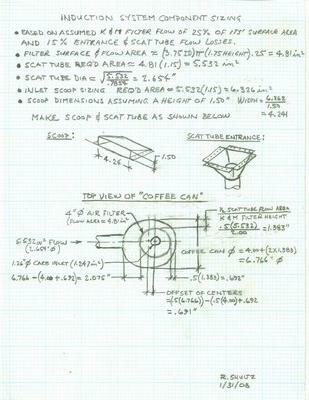 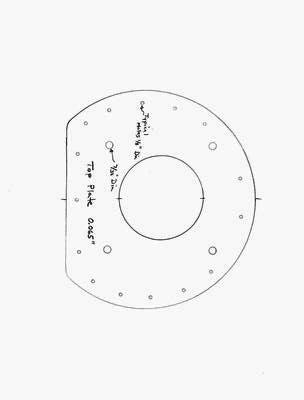 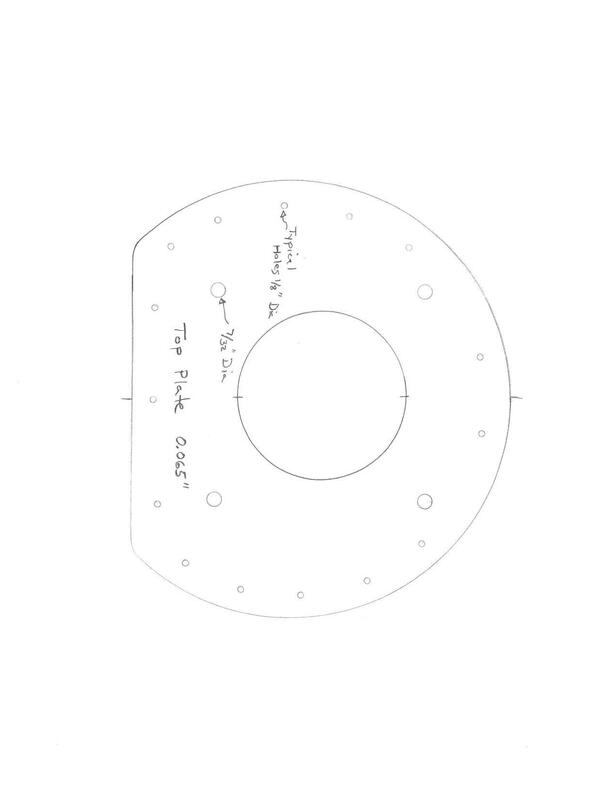 The following pictures are my initial design notes and sizing calculations my Dad worked up. 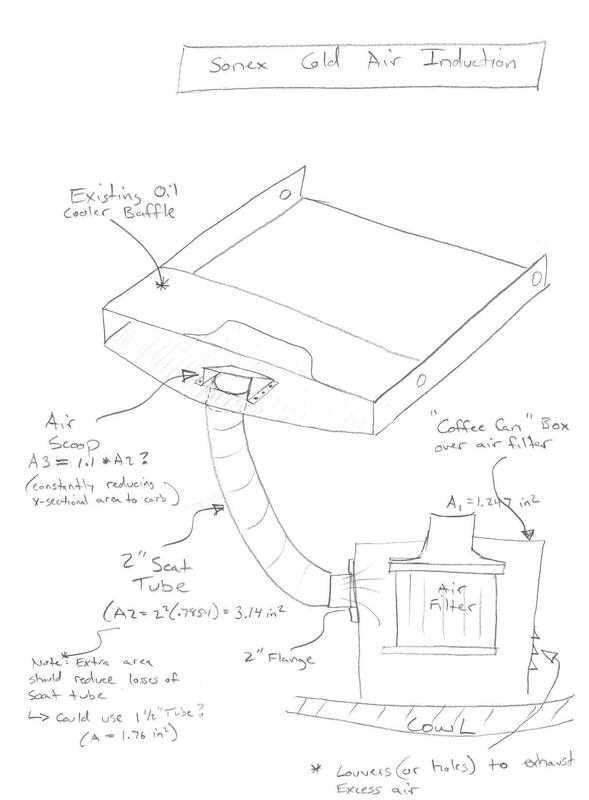 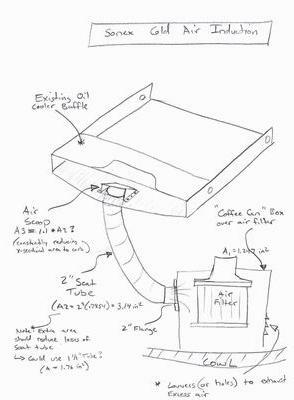 Together with the practical considerations of trying to fit the "coffee can" under the cowling, I built the prototype system. 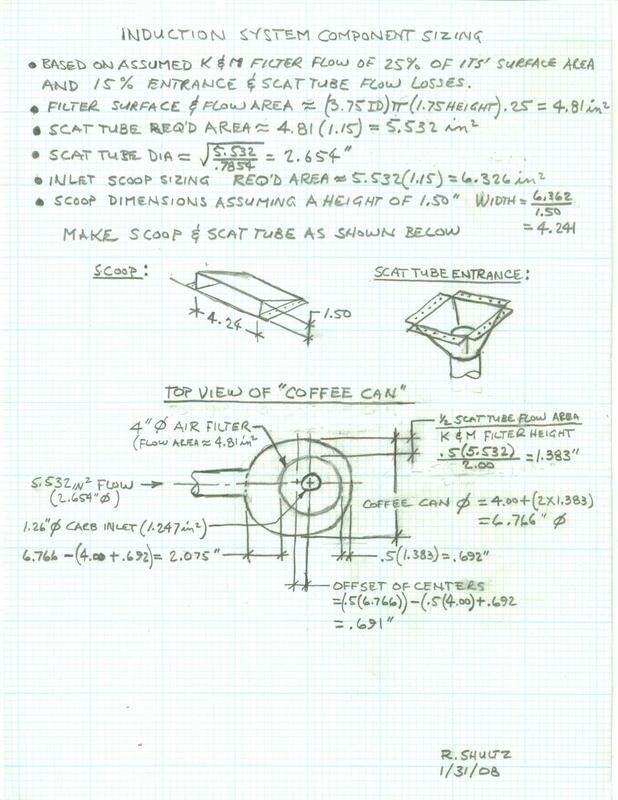 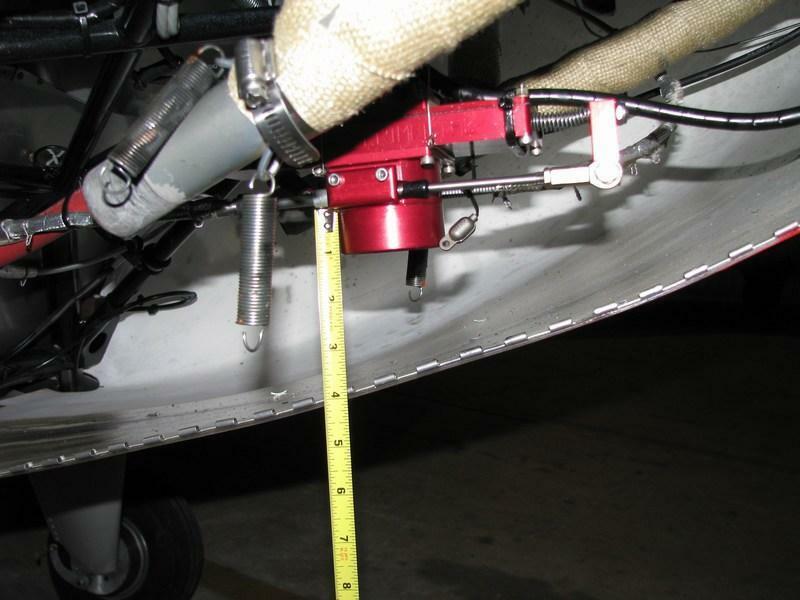 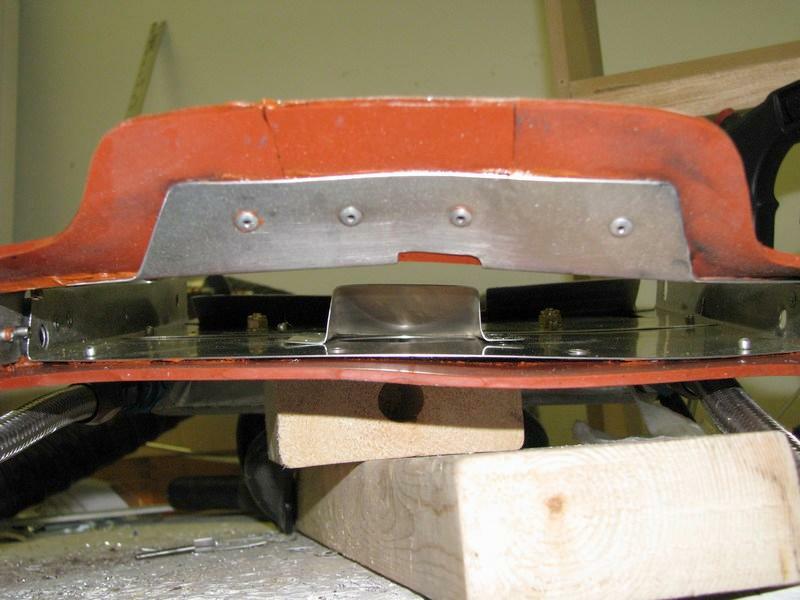 The bottom of the coffee can is cut at an angle to match the slope of the cowling, while the sides stop approximately 1/2 inch above the cowling to provide a method of air escape to prevent pressure buildup. 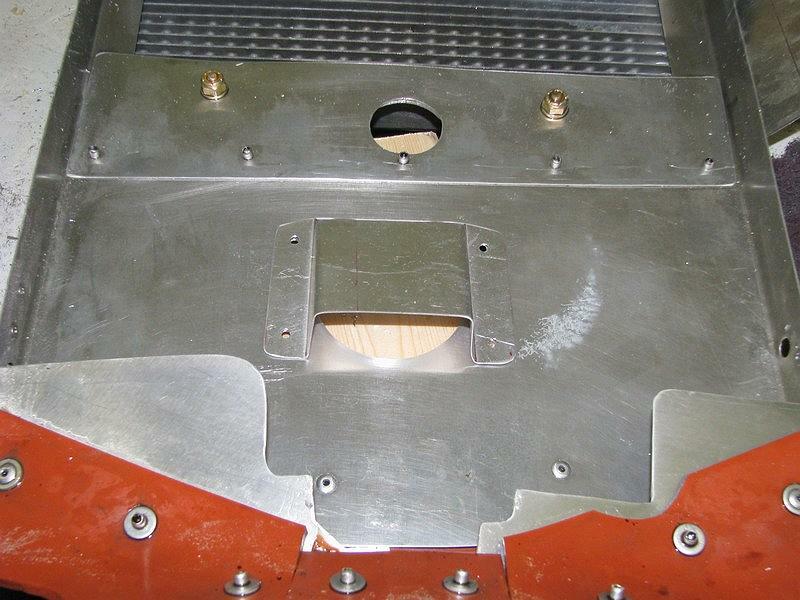 This gap will be reduced with baffle seal, and through flight testing I'll determine the minimum exit area necessary.